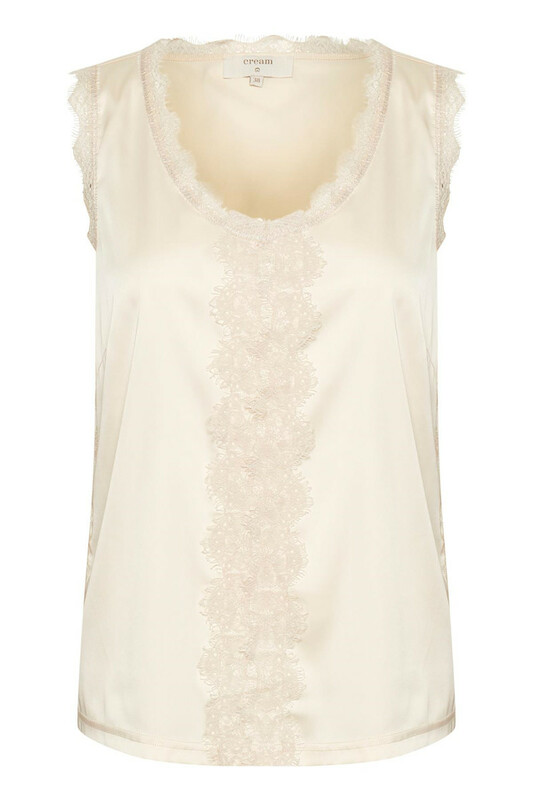 Elegant and chic top from Cream. 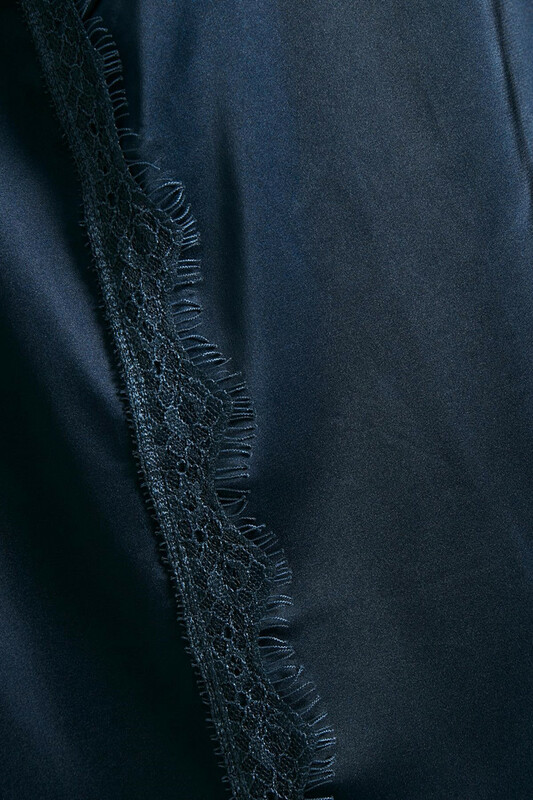 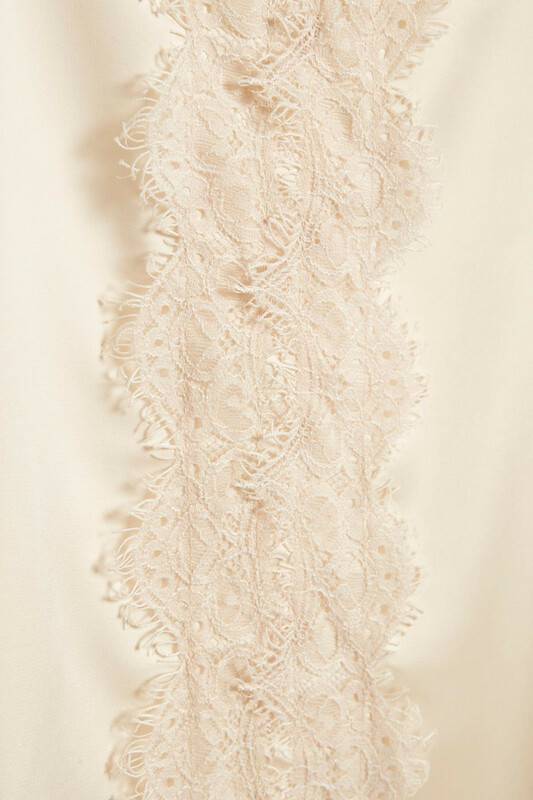 The top has this beautiful combination of lace with fringes and a simple look. 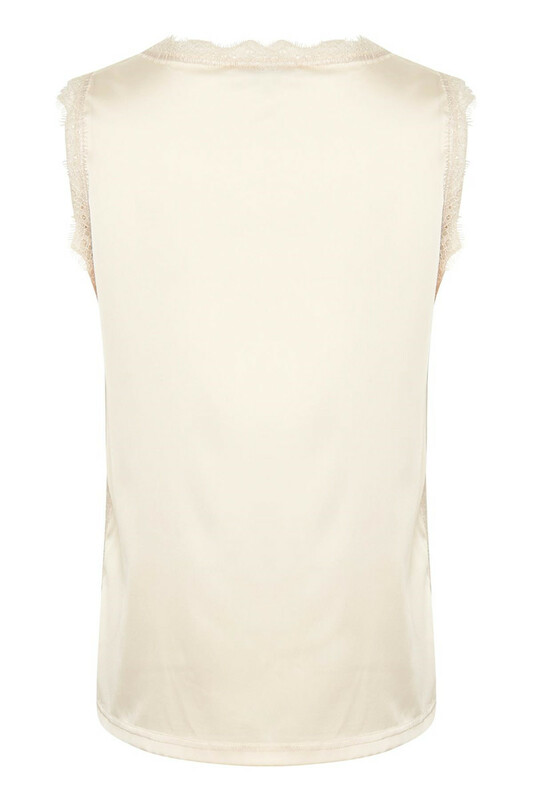 The top is also sleeveless, has a feminine v-neckline and lace details on the front and down the side. The nice top blouse has a regular fit and is very comfortable and light in quality. 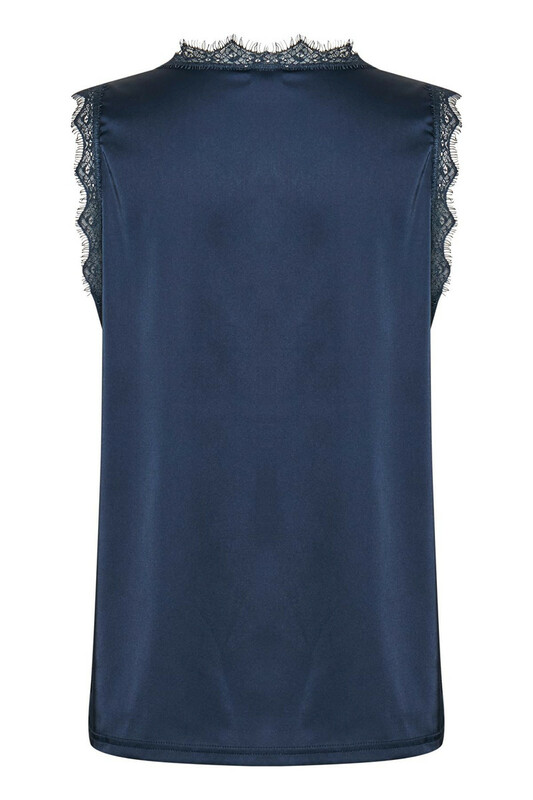 The top also looks very stylish and chic together with a pair of jeans, pants or a black classic skirt, but can also be used underneath a transparent blouse.